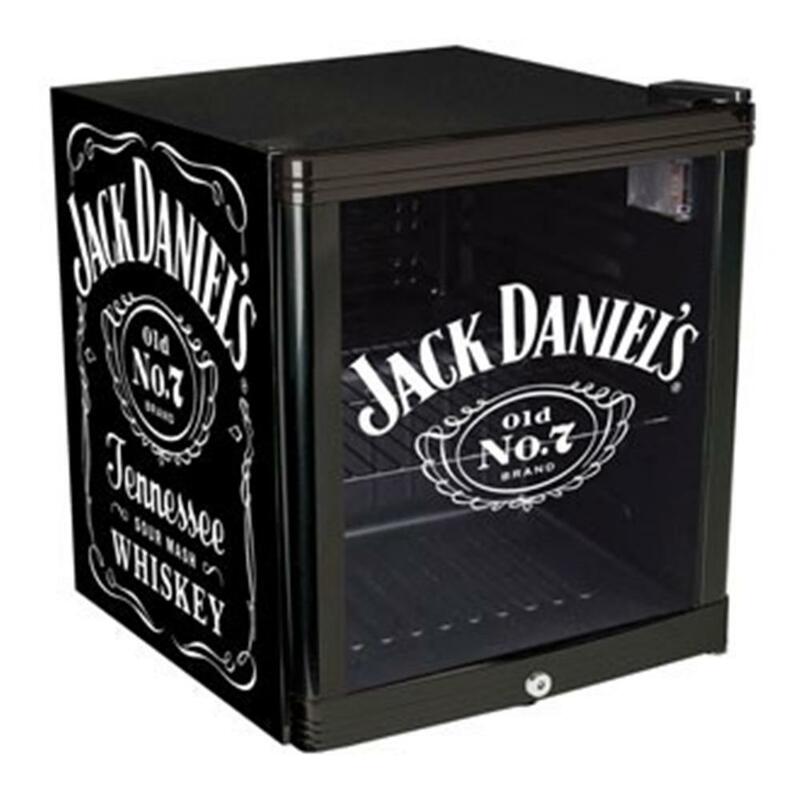 Satisfy your thirst and keep your favorite beverages cool in this Jack Daniel's® Beverage Chiller! 1.8 cu. ft. contemporary chiller has JD graphics on both side panels and etched-look graphic on the double layered glass door. Chiller easily holds a case of your favorite beverage and features adjustable cooling levels, interior light, adjustable shelf, and locking door. Dimensions: 19.7"H x 17.1"W x 18.7"D Weight: approximately 40 lbs.